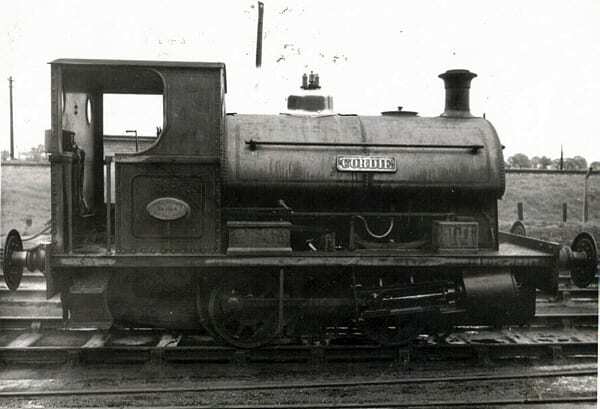 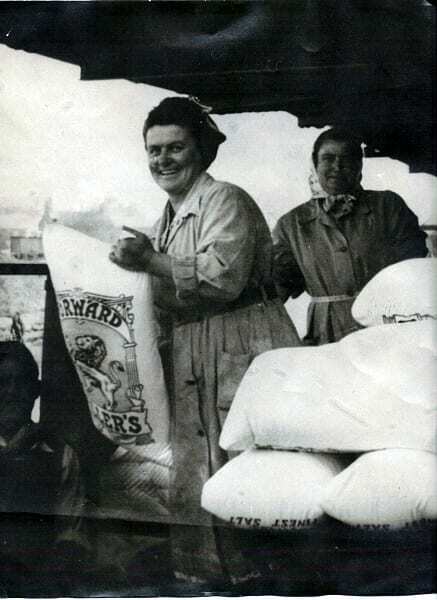 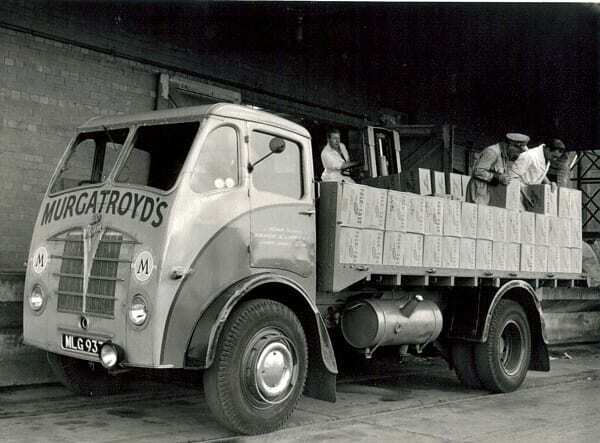 1954 Murgatroyd's Lorry Loaded For Sweden. 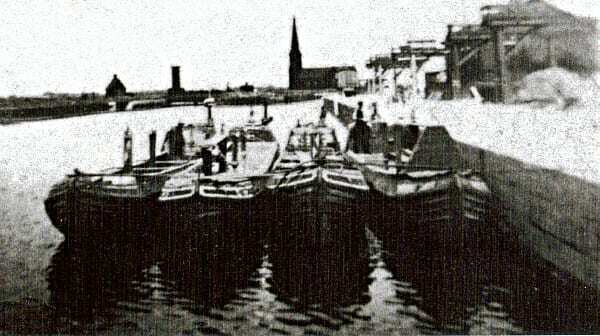 Narrowboats Unloading At Weston Point - Fred Bunn. 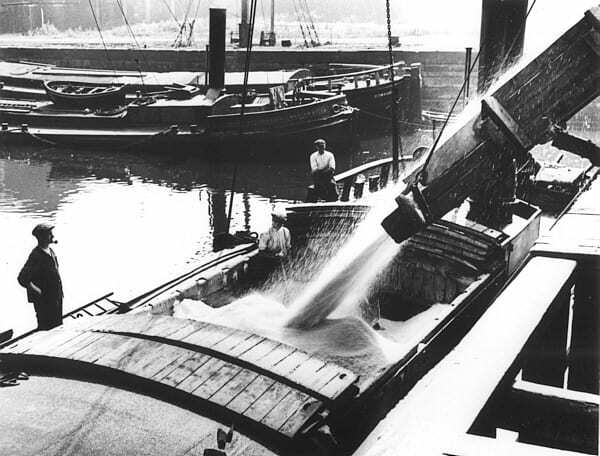 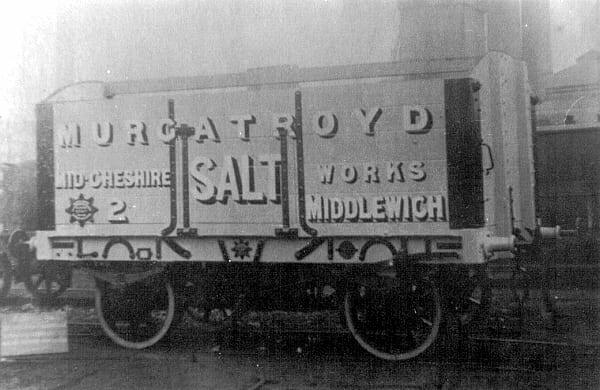 Salt Pouring From The Chute Into A River Boat Waiting At Anderton On The River Weaver. 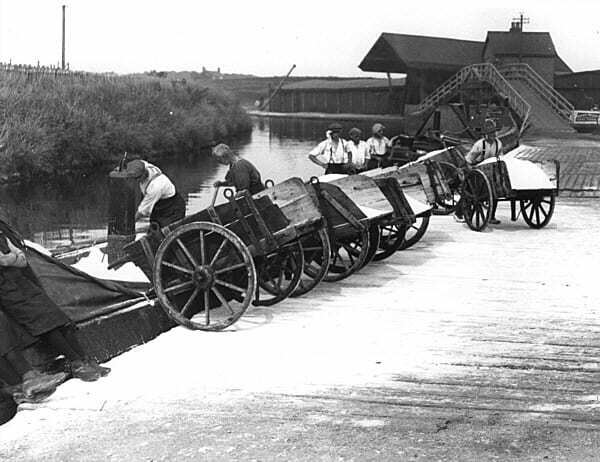 Taking The Salt From The Narrow Boat At Anderton On The Trent Mersey Canal. 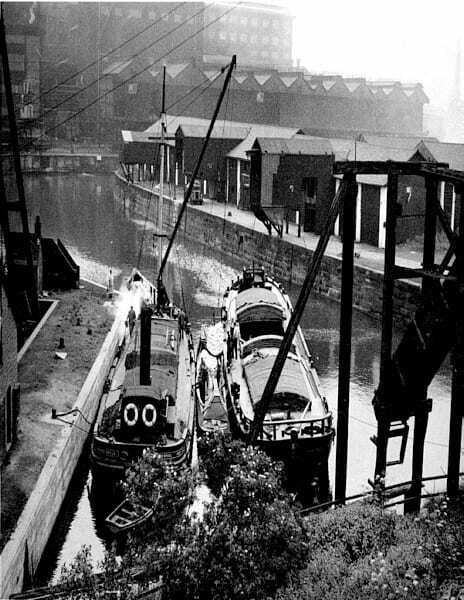 Narrow Boats Moored Up The Railway Keeps Going. 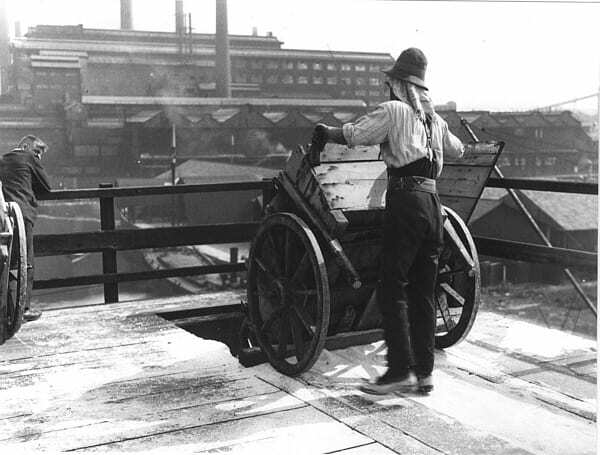 Tipping The Salt Down The Chute Using A Wheel Barrow. 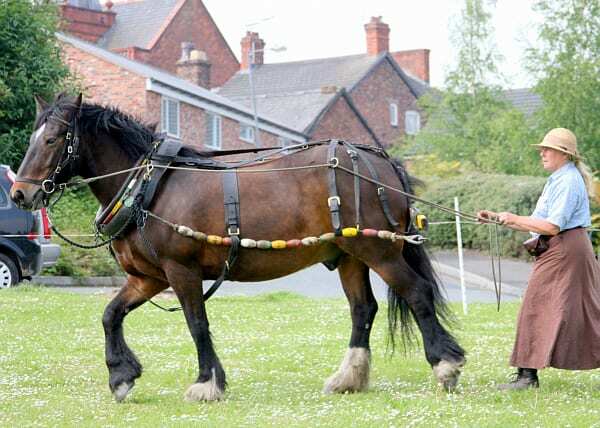 Using The Boat Horse To Lead The Way.